From the design to the final inspection, we offer a complete professional building service. For all aspects of building projects, from a ground floor extension to a loft conversion or any building alterations and property maintenance, we can provide a complete competitive construction service. 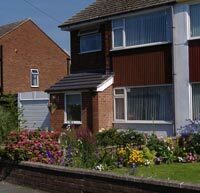 Work is completed by time served tradesmen and all work is guaranteed, and to local authority approval. House extensions and additions we have completed on time and to budget include conservatories, sun lounges, loft conversions, enclosure of balconies and verandahs, dormer windows and roof additions. you want to build an addition which would be closer to any highway than the nearest part of the "original house", unless there would be a least 20 metres between your house (as extended) and the highway.